FIU is building Florida’s first Health Disparities Research Center at a Minority Institution (RCMI) with a $13.1 million grant from the National Institute on Minority Health and Health Disparities (NIMHD). The grant to FIU-BRIDGE at Robert Stempel College of Public Health and Social Work will create FIU-RCMI at Stempel College, which will focus on reducing substance use problems and HIV, and will work in partnership with South Florida communities. This is the largest National Institutes of Health (NIH) award in university history. 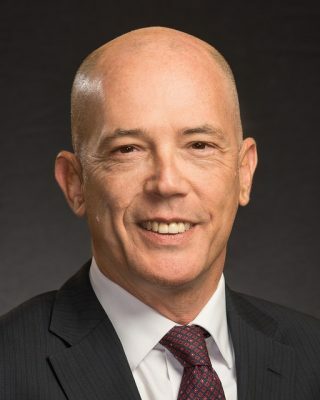 Eric F. Wagner, director of FIU-BRIDGE and professor in the School of Social Work, will helm the FIU-RCMI at Stempel College. Since arriving at FIU in 1998, he has led an interdisciplinary group of researchers whose work focuses on reducing substance use problems and HIV/sexually transmitted infections among teenagers and young adults through community research partnerships in South Florida and across the country. Wagner and colleagues have a long history of conducting large scale research in partnership with diverse communities. For example, with Native American tribes in Oklahoma, Wagner and colleagues conducted NIH-funded research that demonstrated significant reductions in marijuana use among Native American teenagers who received culturally-adapted intervention. Later this month, they will reveal the intervention’s success to the public at the RCMI Translational Science 2017 Conference. The FIU-RCMI at Stempel College involves 34 faculty members in addition to Wagner, who come from various disciplines across the college and university. While Stempel College faculty comprise the majority, faculty from FIU’s Herbert Wertheim College of Medicine’s NeighborhoodHELP Program, the Center for Children and Families and the Department of Psychology in the College of Arts, Sciences & Education are included. All are committed to developing and nurturing the new national clinical and behavioral research program devoted to eliminating health disparities. The team will use innovative culturally responsive methods to collaborate with underrepresented Miami-Dade communities, where more than 27,000 people are living with HIV. The HIV/AIDS epidemic has disproportionately affected minority populations, especially people living in low-income neighborhoods. Moreover, while substance use problems affect all racial, ethnic and income groups, minorities and those living in poverty experience more substance-related adverse consequences and more barriers to accessing effective prevention and intervention services. The FIU-RCMI at Stempel College includes five cores—administrative, research infrastructure, investigator development, community engagement, and recruitment—as well as a large-scale research project examining the rising use of e-cigarettes among minority youth and young adults. The FIU-RCMI at Stempel College will hire three additional senior researchers to expand the university’s capabilities in health disparities; it will sustain five new fellows each year and bring more postdoctoral talent as well. The core research team also will support and train dozens of masters and doctoral students at the center.